Jürgen Klopp registered his 400th career victory as a manager Tuesday night. 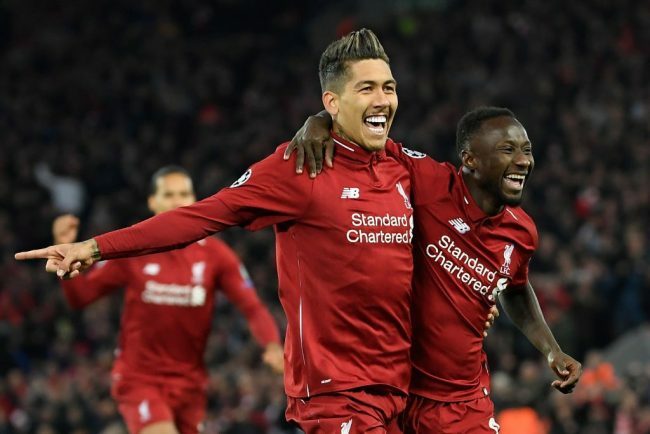 Liverpool’s ex-Bundesliga stars Naby Keita and Roberto Firmino grabbed both the goals as Liverpool v Porto ended 2-0 to the hosts. Liverpool’s 2-0 scoreline this evening resulted in a personal landmark for the German coach -it was his 400th career victory. The vast majority of those triumphs came with Borussia Dortmund (180), with 109 notched at Mainz. However, it is with this current Liverpool side that the native of Stuttgart arguably looks most at home. 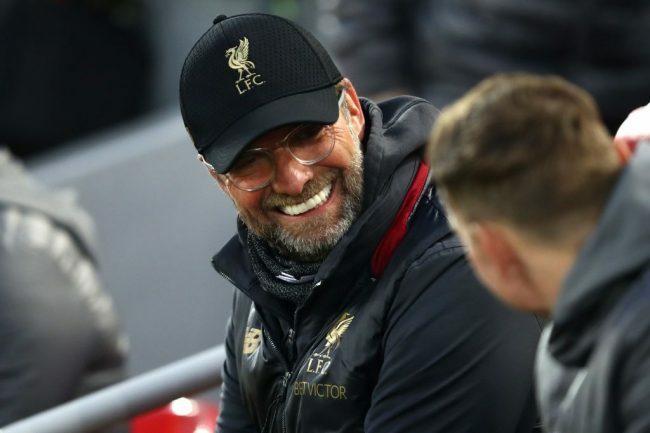 Despite winning the Bundesliga twice with Dortmund, there is a smile that seems to emanate from the soul of Klopp while conducting matters on Merseyside. This is, without doubt, one of the most intense moments of the coach’s career – but he still retains that famous ear to ear grin – whether it remains in place until 2 June is another matter. Travel to Germany and watch the Bundesliga live! Book your European football travel now by visiting Nickes.com! There has been endless talk of a Manchester City quadruple come June, but it is worth noting that Klopp still has the potential to deliver a Champions League and Premier League double of his own for Liverpool. Always focused on his players, and uncomfortable talking about personal achievements in what is a team game – tonight’s landmark is an achievement of note. It would not be a surprise to see Klopp hit the half thousand with his current employers. Jordan Henderson has been everpresent in the Red’s lineup since Klopp arrived at Liverpool back in 2015. Already instated as the club’s captain by Brendan Rodgers, there was a thought from some quarters that the England international could be a casualty under the new manager’s vision. However, Klopp gave the captain his full backing – but this didn’t stop the critical element within the English media and Liverpool fanbase doubting the player’s credentials. There has been a great debate on where the midfielder’s best position is. Having been asked to play in a deeper-lying role for a number of years, Klopp has now deployed Henderson in an advanced role of late – it has once again ignited social media platforms on where is the player’s best position? Is that an indication that with Fabinho looking settled, Henderson’s future is in a more advanced position? Liverpool v Porto: Semi-finalists again? Klopp will not thank anyone who looks beyond the second leg in one week’s time, but Liverpool are now favourites to progress into the semi-final stage once again. 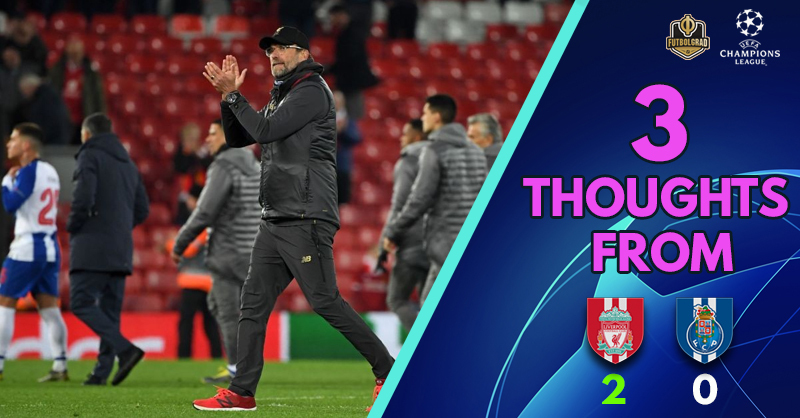 After the disappointment of going so close last season, eventually defeated by Real Madrid in Kyiv – this Liverpool side has all the hunger shown by another beaten finalist. Bayern München harnessed their 2012 Chelsea heartbreak to turn it into a treble-winning season after – beating Klopp’s Dortmund in a Wembley showdown. Whisper it quietly but Liverpool could tread a similar path in 2019. If so it would end a 29-year wait for a top-flight domestic title and also signal their sixth European Cup / Champions League victory. They just need to better Pep Guardiola’s Manchester City – a gargantuan task, but still a genuine possibility.